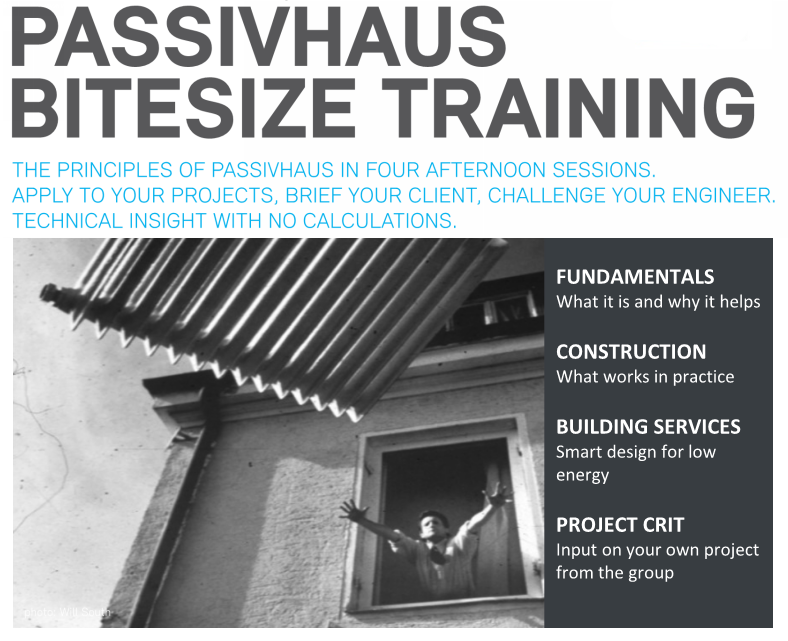 How do I build a Passivhaus? How is it different from normal construction? This half-day session answers these questions, along with some specific guidance on achieving the level of airtightness and thermal bridge-free construction required by the standard. Airtightness, convective bypass and thermal bridging are discussed in relation to common constructions. Insulation materials are shown and their properties discussed, singling out those that are effective in damp and load bearing situations. Suitable airtightness materials are discussed and shown, and the necessity of an airtightness strategy discussed.